Getting the design right is essential for you to achieve the best patio, paths or terraces for your front and rear garden. At PaveCraft Ltd it is all in the preparation, understanding what and how you want to use the space. 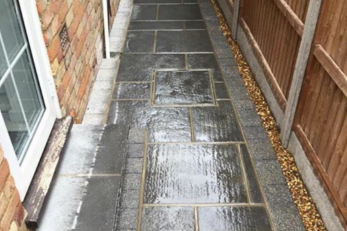 We bring ideas of previous successful paving services jobs from elsewhere around Borehamwood to show you how to get the finished patio you want. Pavecraft have 40 years' experience in building everything from small city gardens to larger suburban areas. 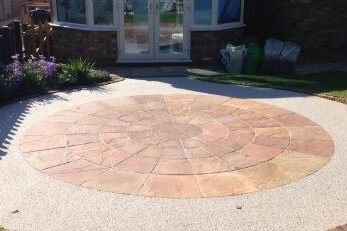 Our Paving Company in Borehamwood enjoys working with complex split levels, multi materials and difficult access areas as well as level traditional Borehamwood gardens. 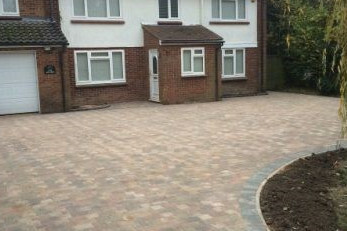 As a local Borehamwood paving contractor we offer a large variety of services from design and build, hard landscaping, drainage & irrigation systems through to garden and driveway lighting.